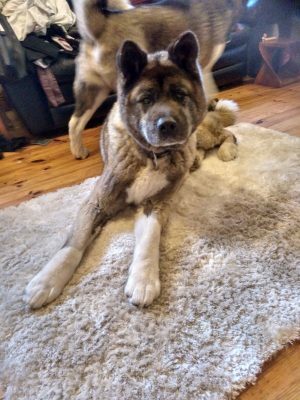 Kiba is an 8 year old American Akita looking for a new home due to unforeseen circumstances. He is neutered, microchipped, vaccinated and housetrained. 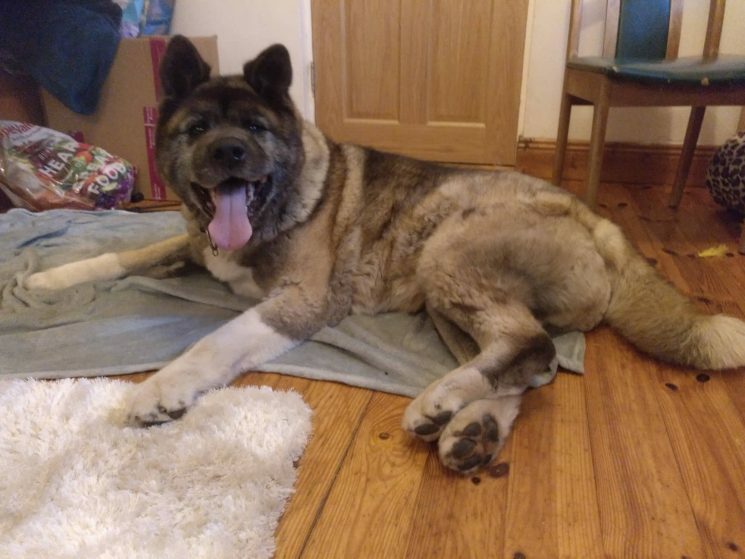 He is quite big for his breed so would be better suited to a household with older children. He can be lazy but still enjoys a half an hour walk most days (though he hates the rain!). He loves people and is fine with other dogs once introduced properly but cannot live with cats/small animals. He can get a bit stiff but manages fine on glucosamine tablets.